You may have seen an article I wrote a while back here on the blog called 6 Things I Wish Someone Told Me When I started Crocheting (view that HERE) – it’s been my most popular post and I’ve had requests for a follow up! 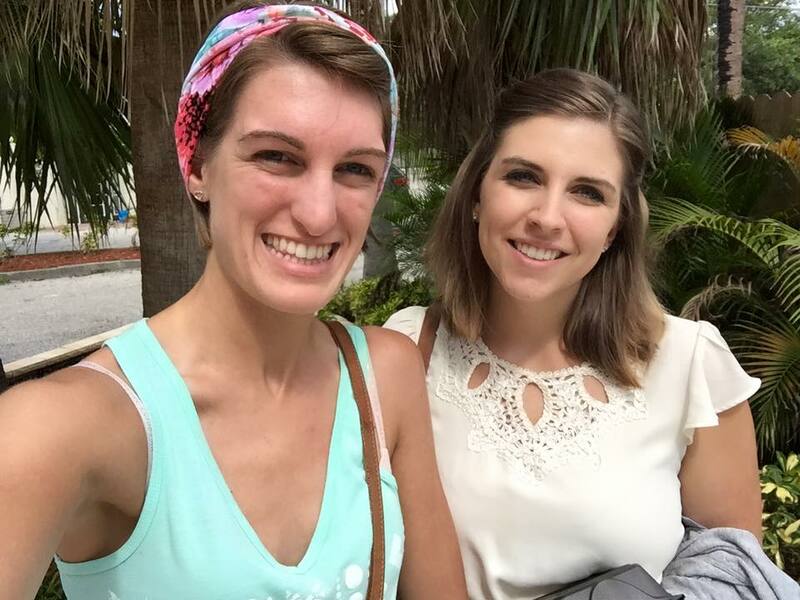 So here are 6 MORE things I wish someone told me when I started crocheting! I hope that these tips from a self-taught crocheter (along with suggestions from my lovely Facebook fans!) help those out there still navigating the new, sometimes overwhelming waters of crochetland. Or this article may offer some comfort and camaraderie to those of us who have been at this a while and wondering about how the community feels on certain topics. Either way, I hope there’s something here for ya! 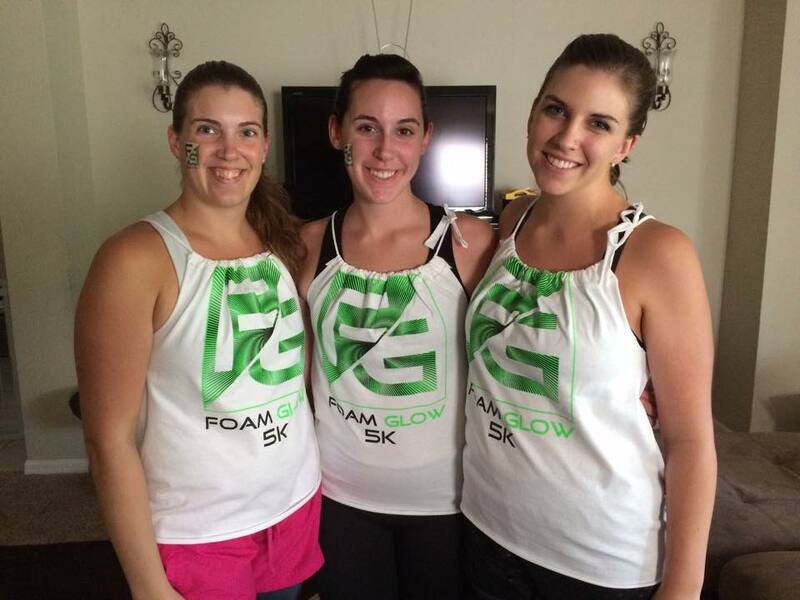 So here are the ladies who I am closest with – the women I see all the time who constantly inspire and support me. And none of them know a ding dang thing about crochet, bless their hearts. My sisters, on the left, didn’t really get the crafty gene from my mother and her mother – though vastly talented in other areas, they don’t light up at the yarn aisle like I do. And my best friend, on the right, is a die hard sewist. She’s the bomb, and has taught me a lot about sewing but more importantly, she understands the crafty thing. She too spends more at the craft store than on her car payment. And for that I’m grateful. 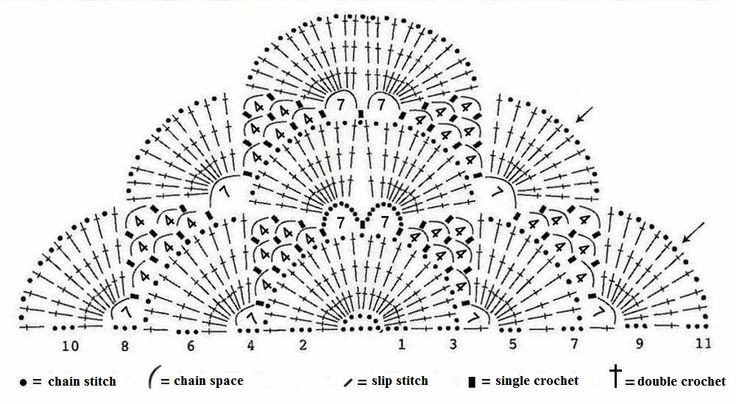 Crochet charts are beautiful works of art, in my opinion. They look like deco art from the 20s. Or a Rorschach test. Either way in addition to being beautiful, they are so so SO handy! Not only do you get to whip out this uber confusing looking thing in front of company and wow them with how you speak a whole other crochet language, but you can now understand a crochet pattern in any language. The great thing about charts is, like numbers, they are universal. In other words if you come across a picture of the most darling little thing on Pinterest, it leads you to a Swedish or Russian blog and google translate is leaving a whole lot to be desired, the chart will be your saving grace! Now you can skip the written pattern all together and just follow the image. On another note, I know that many who can read patterns, haven’t a clue at following charts – is this something you guys are interested in? Would you like to see a crochet chart following tutorial? Leave me a comment! 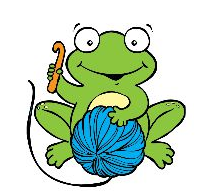 Ripping out your stitches or “frogging” (rip it, rip it sounds like ribbet!) happens to the best of us. Mistakes happen. Pattern inconsistencies and typos in the pattern happen. Complete and utter craziness happens and the finished product looks nothing like the picture. None of these instances, however mean failure. Mistakes do not mean failure. Being that we are all creative, accomplishment driven people (if we weren’t we would probably spend all of our free time drinking wine and watching the Bachelor, not crocheting) this makes for a bad combination – an art that thrives on detail and specificity coupled with people who are probably always a tad too hard on themselves and strive for perfection. I’m here to tell you that you are good enough and your work is beautiful. Even if you set out to make a monkey and in the end you’ve made a moose. 4. You’ve made a big mistake, now how do you fix it? Reread the pattern. Then look at your work. Rinse and repeat. See if you can sort out what you’ve done and where the mistake lies before frogging hours of work. You’ve found the mistake, you undo your work back to that point and try again. Huzzah! You have no idea what happened and you’re overwhelmed. Walk away and look at it with fresh eyes later! Have a glass of pinot and remember that it’s just yarn. Then we look at them like this. But you know what I’ve learned? Yarn is inexpensive. In the grand scheme of things and in moderation, (not even talking about sales here) yarn is affordable and crochet is a relatively cheap hobby. My point here, folks, is to spend the $3.50 on that skein of yarn with beautiful color and sparkle. It will entertain you for hours and you’ll make something that is worth so much more than the few dollars you spent. What I mean by this is: As you become more familiar with crochet and get the hang of things, begin watching what it is that transforms your rows of stitches into the shape of a hat or scarf. When it comes time in a pattern to make things tighter, larger, or curve around, what does the pattern do? What kinds of stitches achieve different shapes? What consistencies do you find in different patterns that achieve a similar result? Don’t just blindly follow a pattern and wind up with ta-da! A finished project! (Although that is perfectly respectable and a worthy effort) If you want to take your work and skills to the next level, watch your work closely. Before you know it you’ll understand how to construct a pattern yourself and mimic something you see in a picture or just in your head! The mark of a true craftsman, methinks. 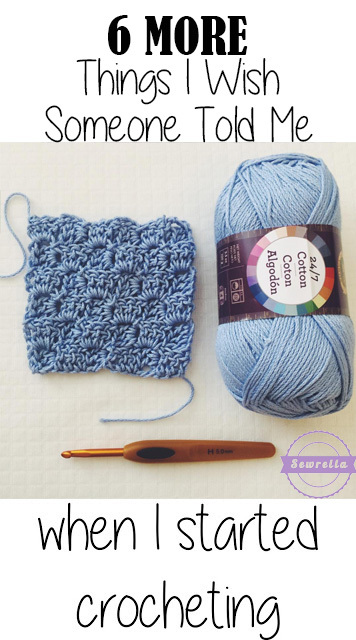 I hope you all found something new here that will help you in future crocheting! Don’t forget to PIN this article to your Pinterest boards so that you don’t lose it! It is real good help. I would LOVE a tutorial on how to read charts! They freak me out because I don’t even know where to start! A tutorial on reading charts would be fantastic!! I’ve come across too many good ones that only offer a chart and no written instructions:/ it’s time to learn ! Thanks!? I’ve been crocheting for almost a year. I feel like I’m getting the hang of things, but I’d love an article describing the best types of yarn to use for different projects. For example, the first piece I made was a scarf for my SIL. I LOVED the yarn, it’s probably good scarf yarn, but wasn’t good for the pattern… maybe, or also definitely could have just been I crocheted it too tightly! I feel like 90% of the patterns I see use the same type of worsted yarn, but I’m very interested in exploring other weights/types and how that changes the pattern. Thank you for the next six things- pretty much all true! But…. I have crocheted for years and years. and knitted. And sewn. 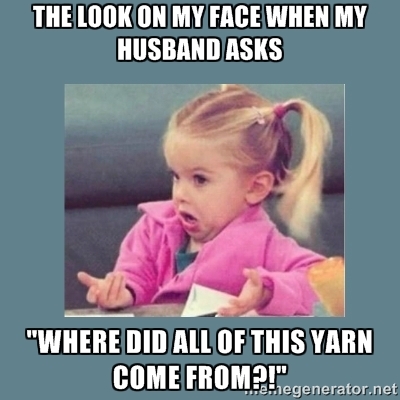 I have spent enormous amounts on yarn and material and cool hooks and beautiful patterns. When I didn’t have much money I bought patterns at the charity shop for 30 cents and bought and begged cheap yarn. Now I am better off and buy the more expensive yarn etc. never once in 22 years with my partner then husband has he ever questioned my right to spend my money on whatever I want. He has waited for me while I’ve spent hours looking for just the right colour. He has enjoyed what I’ve made for him and we’ve enjoyed watching the grandkids wear and play on what I’ve made. What’s my point? You don’t have to justify what makes you happy to someone who loves you. Ever. Thank you for this lovely and inspiring write up. Not long ago, I found a lovely shawl pattern, some nice yarn to go with it, and set to work. Somewhere along the way, I accidentally deviated from the pattern (oops) and ended up with more stitches per row than I should have…like a bunch more. Once I realized what was happening, I also decided that I liked the look better than what I’d been attempting to do. So I kept up, and the finished shawl is one of my favorite pieces. My only regret now is that I didn’t keep better track of how I did it, so that I wouldn’t have to spend hours decoding it into a pattern to use again. Would really like to learn to read patterns. How do you keep track of where you are? Only one of many questions. A tutorial would be amazing and really helpful. I have found the cutest crochet projects and many times it will be in another language so disappointing. Would love to be able to learn to follow charts. I would love to learn to read charts, thanks for the tips. I’m so glad I found your blog! Thank you for the ideas, techniques, strategies and sharing your take on this subject. 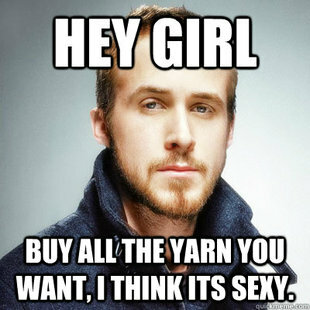 I’m so fortunate to have a husband who gets a kick out of going to the yarn shop with me. He’s always wanting me to do something adventurous with yarn, so I try to make him something unique each month. Doesn’t always happen but I try. He has a killer coozie coming! I’ve put you in Pocket and pinned you in my Pinterest so I will be visiting again. Thank you! I would very much appreciate a tutorial on how to read a crochet chart. I understand the symbols, but my mind wanders. . .and I tend to stick to very simple patterns. Also, I tried to click the HERE to read your earlier article, bit it did nothing. This is my first visit to your site, via Pinterest. You might be interested to learn that there are people out there like me–former crochet lovers who gave up their beloved yarn and supplies because arthritic pain made the work painful. That old arthritis thing sneaks up on you quicker than you might think. Luckily, I found ergonomic crochet tools designed for arthritic hands. Wish I’d saved my stash. So I am beginning anew. Like your site! Two comments…….Many yrs ago I came home with yet more yarn (I use to travel more by myself and would stop in anywhere that had yarn!! It was also an excellent way to stretch my legs) One day my husband said the funniest thing….”What?? MORE YARN??!! I just smiled & told him, “Look! !…..I don’t drink, smoke, gamble, sleep around, do drugs or pay for therapy!! I figured you’re getting off cheap! !” He never brought it up again!! My second comment is about making those happy mistakes. I made a blanket for a new great niece that turned out quite beautiful all because I made several mistakes! I’d gotten far enough along that I didn’t want to tear it out so I just continued the “mistake” until I was finished. I’m not sure if I’d EVER be able to replicate it and in fact….it’ll most likely turn out totally different. Which is fine. They’ll be one of a kind!! Years ago I told someone the only difference between an amateur and a professional in the crafting world is when the amateur makes a mistake a lot of people usually know about it because many times there’s a lot of loud ranting and raving. When a professional makes a mistake they just go calmly along and either fix it quietly or go with the flow. BTW…. I really love your blog!! I don’t think I’ve ever come across it before. But now that I know it’s here, I’ll be visiting quite often!! Thanks for all the fantastic ideas!! Would love to know more about chart reading. I have completely avoided this in the only two years since I first picked up a hook. I saw the article on pinterest and would LOVE a tutorial on reading charts. I too am self-taught and now have the gumption and confidence to spread my wings a bit and try different stitches. “Yes, please!” on the reading-a-chart post idea ? I would love a tutorial on reading charts! I’ve found so many patterns that I would love to crochet, but can’t because they’re in that format. I would love to learn to read charts if your could teach us!! !